Here’s a nice little look at what’s on the workbench at the moment and an insight into the personalised design process at A.S. Potter. When I am approached to make an instrument I like to spend some time in the workshop with the client to go through the design and options and to pull some materials out of the woodstore to really make sure that everyone is very happy and on the same page. 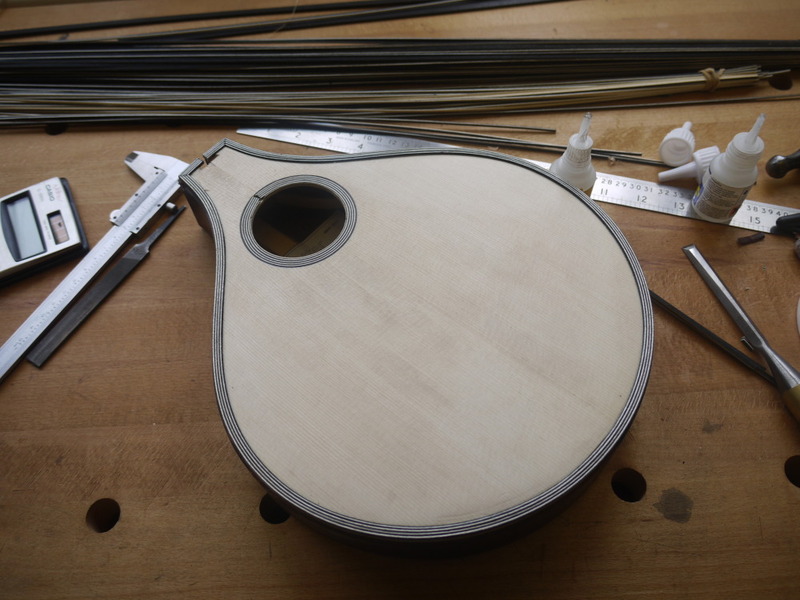 I recently had a client come into the workshop to discuss a commission for one of the lovely little A.S. Potter mandolins. During the course of the meeting the client noticed a beautiful Fratelli Casella bowl back mandolin that I had just finished restoring. and very thick purfling around the soundboard and for a rosette. 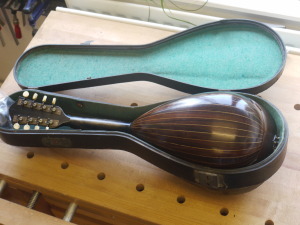 So, having decided on the features that we loved on the antique instrument we decided to keep the simple decoration, the colour scheme and the purfling around the soundboard and apply them to the A.S. Potter design. Somewhere in the back of the woodstore I found a beautiful set of Indian Tamarind that closely matched the original rosewood for colour, chose a lovely European spruce soundboard and pulled out a huge number of veneers to construct the trim. 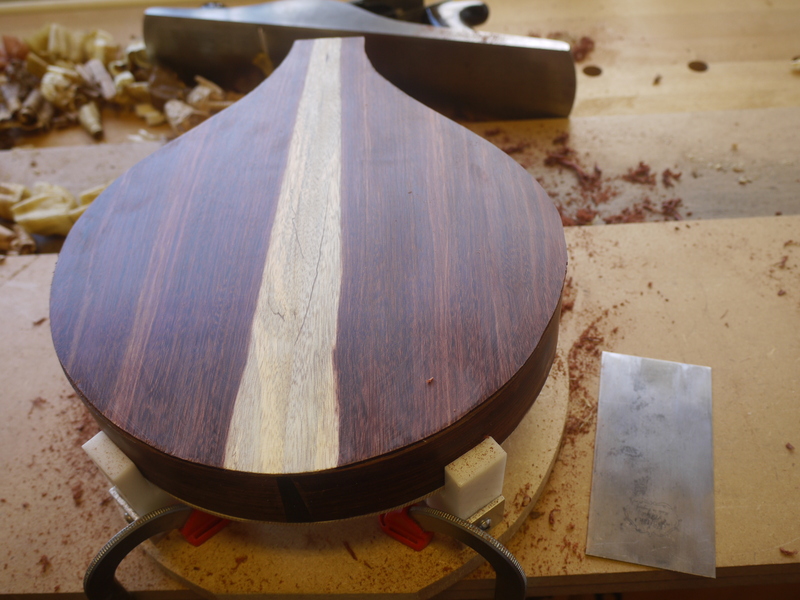 Well on it’s way to being a singularly beautiful instrument! 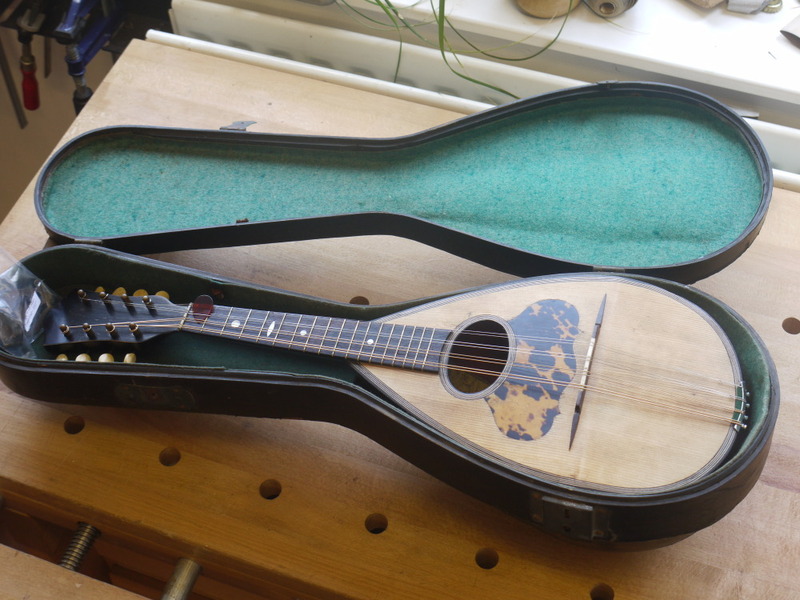 If you are interested in our custom built instruments or have an antique instrument in need of restoration then please contact us to arrange a personal consultation.